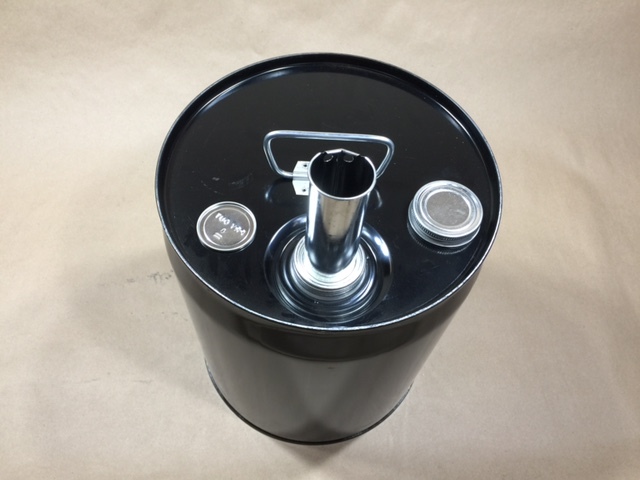 Our 5 gallon black unlined steel pail, or drum, has a 2 1/8 inch screw cap. This pail comes with a seal and a spout. Many of our customers refer to this spout as a push/pull spout as it can be lifted up and pushed back down. Several of our customers use a funnel to make it easier to get the liquid into the pail. The drum has a UN designation of UN1A1/Y1.8/240. 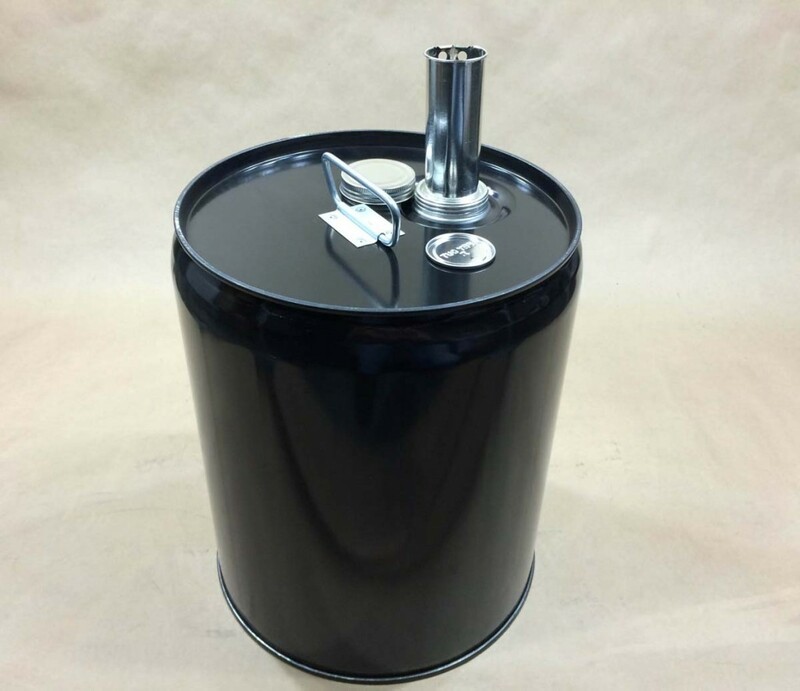 This drum is a 26 gauge unlined drum with a rust inhibitor. 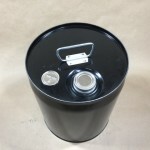 This steel pail/drum is used mostly for hazardous liquids that are compatible with steel. The metal push/pull spout has some appeal to control pouring. The screw cap is a good option for customers who do not have a flexspout crimper to crimp the spouts onto our pails with Rieke openings, or who do not think the low density polyethylene in the Rieke flexspouts will work with their product and thus prefer an all steel spout. 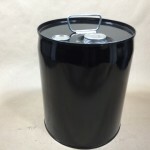 Please keep in mind that although this pail/drum is rated for hazardous liquids it can be used for many other purposes. Some of our customers use this pail to store hot oil. Please check this article for more information on that use. 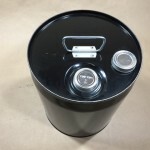 Remember, with our low $250 order minimum it is not necessary to buy more pails than you actually need, however, we offer another option. For orders under $250.00 you may, if you choose, pay a $45.00 processing fee. This would allow you to purchase even one pail/drum if that is what you wish to do. In that case you would pay for the pail/drum along with the UPS fee and the $45.00 processing fee. We would be happy to send a sample for testing with your product.